We are proud to announce that our site has been named to a list of the top 200 job boards online according to job search engine, Jobs2Careers. It is an honor to be part of such prestigious company. 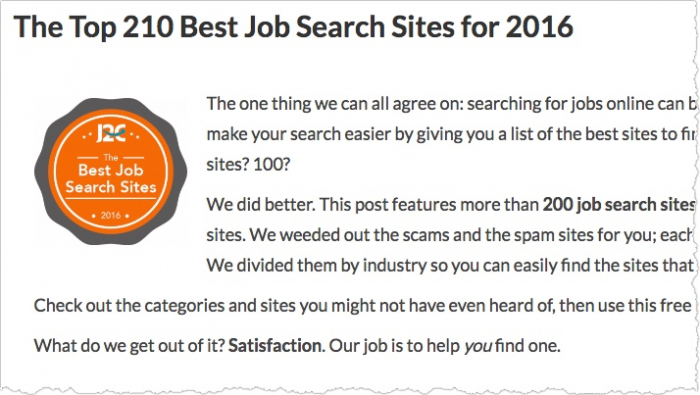 Check out all 200 sites for almost any category on their top job search site list. Other top board they mention include Jobs With Remote for work at home and Jobfairing for finding job fairs.